Halloween’s right around the corner. What are you doing? Well, on Wednesday, October 29, you’re probably going to be at PhilaMOCA. Why is that, you ask? 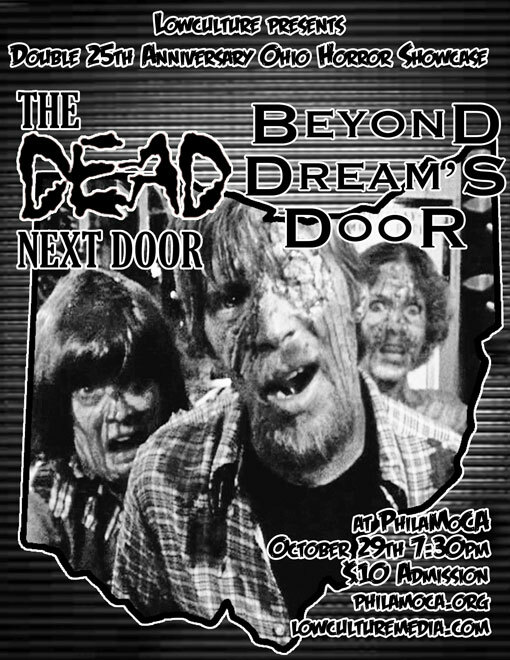 PhilaMOCA, in association with lowculture, is presenting a double screening of two seminal ’80s DIY horror films — The Dead Next Door (1989) and Beyond Dream’s Door (1989). Financed by of all people Sam Raimi with the money he made from EVIL DEAD II and shot on 8mm by an enthusiastic 19 year-old horror fan over a number of years, The Dead Next Door is a micro-budget splatterpunk zombie opus. 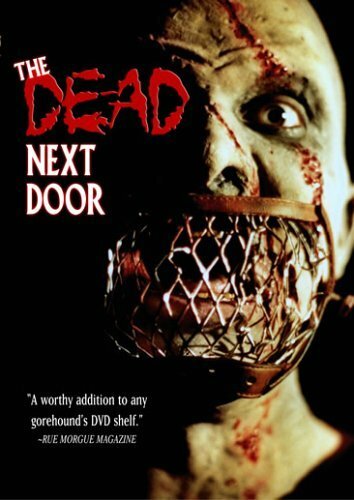 Ripped from the dark recesses of indie horror auteur J.R. Bookwalter’s warped skull, the film is a semi-comedic, mostly horrifying mash-up of religious satire and extreme gore. Conjuring a hypnopompic tone similar to the waking nightmares of writers like H.P. Lovecraft and Thomas Ligotti, Beyond Dream’s Door is the story of a college student who’s dreams begin bleeding into the real world and claiming the lives of his friends and family. 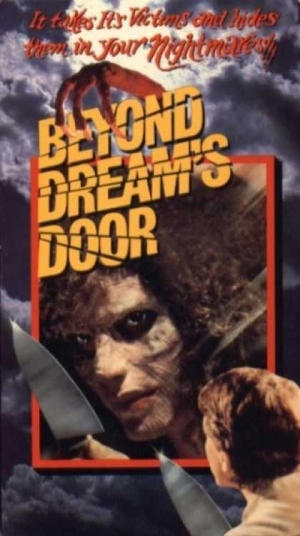 Dubbed by trash film critic Joe Bob Briggs as, “One of the strangest films [he’d] ever seen,” Beyond Dream’s Door utilizes grisly practical effects to drag you through a macabre tour of a young man’s disturbed mind. Both movies will screen on October 29, 2014, with a door time of 7 p.m. The first movie will screen at 7:30 p.m. followed by a brief intermission. You can get advance tickets here, or visit the Facebook event page here.